We’re going to look at three important evangelism ministries in the Chicago area, and we’re going to address how the Salvation Army could integrate these techniques into corps community outreach. I personally interviewed three leaders of meaningful evangelism outreaches in the Chicago area and examined how they reach out to people. The three ministries I examined are Chicago for Jesus, Chicago Child Evangelism Fellowship, and the Greater Chicago Food Depository evangelism outreach. Their techniques include street preaching, community events, public school outreach, training leaders in churches, and evangelism related to food distribution. We’ll look at the effectiveness of these ministries and how the Salvation Army can apply these techniques to enhance our mission effectiveness. First of all we’ll address the ministry of Chicago for Jesus. 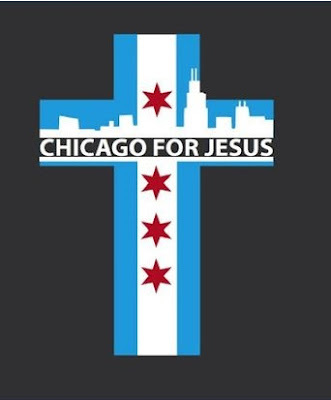 Chicago for Jesus is the outreach arm of Metro Praise International located in east central Chicago. They are non-denominational though loosely affiliated with the Assemblies of God movement. They have a calendar full of events and make evangelism the central mission connected to everything they do. They have a calendar of events, with men’s groups, small groups, youth groups, and Saturday night activities. Each activity, no matter what it is, will meet, engage in the group activity, and then go out and do evangelism for an hour. Evangelism is thus intricately connected to every ministry done at the church. With churches across the United States declining and losing attendance, this sort of evangelism approach could prove to be a huge game changer for the Salvation Army. Evangelism is our core mission, to proclaim the gospel of Jesus Christ and meet needs. This is what we’re called to. I spoke to the leader of the Chicago for Jesus movement in Chicago, a man named Pastor Rudy Salt. What astonished me about Rudy and his team of evangelists is that each of them are in their twenties. It’s amazing how mass movements often start with small groups of dedicated young people. Rudy dedicates Saturday nights from 5pm to 8pm specifically for evangelism outreach. I had the chance to participate in this activity. We met Rudy and his group at the church where we prayed, and Rudy led us in a devotional. Then we piled into a van, grabbed boxes of “gospel of John” mini-books called “life books” (available via Lifebook.com) and stacks of gospel tracts and we headed to a busy intersection in Chicago called Wicker Park. We set up a giant banner with John 3:16 printed on it, and Rudy, Abigail, Christian, Jack, and I began asking people if they had a moment to “talk about Jesus.” Most people ignored us or said no. However, in our two and a half hours talking to people we had about twelve extended conversations with people. And two young people listened, understood, and realized their need for Jesus. We prayed with two people, for them to receive Jesus as their savior and we invited them to join a local church in their area. I also personally had the opportunity to pray with a young woman who had been abused, kicked out of her apartment, and mistreated by her boyfriend. We gave her a gospel of John booklet, and prayed with her. It was an extremely moving experience. After we were done I felt for the first time in years that I had finally done what God had been wanting me to do for years. I felt the power of the Holy Spirit on me like I’ve rarely felt before, and it was when I was talking to strangers about Jesus. I’d been wanting to do that for years, but I was too afraid, too lazy, and I didn’t know how to do it exactly. It was an amazing opportunity to minister in this way, and I’ll be seeking to do it again. I hope we as the Salvation Army can learn from Pastor Rudy and his Chicago for Jesus ministry. In fact, there are many street ministries like this, some more or less successful than others. Another I can think of is the ministry of Ray Comfort and Living Waters, who preach the gospel to people on the streets of San Francisco, California. With people increasingly unwilling to walk into churches, and with more and more people identifying as non-religious, increasingly as the body of Christ, as the army of God, the Salvation Army, we’ll have to go to them, on the streets and tell them about Jesus. In smaller or medium sized towns we’ll have to knock on doors or set up at local events to talk to people about Jesus. This is what we as Christian salvationists are called to do. Evangelism will have to be the cornerstone of future church growth efforts, otherwise our corps will continue to dwindle and die away. The second ministry I had the chance to learn about was Chicago Child Evangelism Fellowship. Once again, what an amazing ministry to learn about! 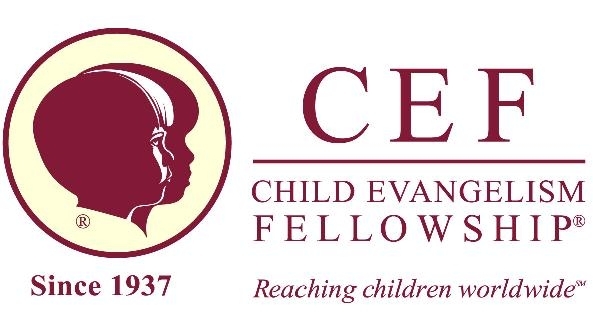 The mission of Chicago Child Evangelism Fellowship (CEF) is to train leaders in churches to minister to children in public schools. CEF helps churches start after school gospel groups at public schools. Any organization is free to start after school groups at public schools, the doors are open to do that, but the local leader for CEF Jonathan King indicated that often pastors are afraid or misunderstand the laws about this. Fortunately though, many pastors have worked with Mr. King and by the grace of God there are over 100 volunteers and about 25 leaders involved with Chicago Child Evangelism Fellowship. They are particularly active in nine public schools in the Chicago area, and Mr. King indicated that 99% of schools love having them. The mission of CEF is to train leaders in churches. So all a church has to do is contact them and they will come in and host five days of activities and present the chance for churches to start after school groups at local public schools. They provide the training free, they host the event free for the children of the church, and their lawyers and leaders handle the process of plugging in with a local public school. And we aren’t talking about a legal battle, the CEF lawyers simply show the school the established laws regarding after school groups, and the doors always open wide for the church group to participate. “Unfortunately some pastors are too afraid to step outside the walls of their buildings to do this,” commented Jonathan King, sharing some of his frustration regarding difficult with pastors in the past. However, CEF has been highly successful, active in small and large cities across the United States and across the world. We as the Salvation Army have always been highly active in ministry to children. It seems that CEF and the Salvation Army would be natural friends and allies in the mission of reaching young people for Jesus. In fact, Mr. King indicated that he had worked successfully with a Salvation Army corps officer in the Chicago area for several years, until the officer was moved, and then the relationship died. I would encourage any Salvation Army officer leading a corps to check out Child Evangelism Fellowship on the web and see if there is a chapter active in the city where they are located, and reach out to them. They are looking for opportunities to connect with churches. They will host an event for free in your building, they will train your leaders for free, and they will help you set up an after school club at a public school. It’s an excellent opportunity to reach children for Jesus. Finally, we look at the third evangelism ministry I investigated called the Greater Chicago Food Depository evangelism outreach. The leader I spoke to was Ms. Ethel LaBranche. Ethel has been serving the community of Chicago in the area of Roseland and West Pullman since the 1980s. They serve the community evangelistically through the social gospel of providing for the physical needs of people through food, clothing, and toys for children. These social gospel outreaches are of course very familiar to the Salvation Army, so I don’t want to spend too much time on this final topic. Ms. LaBranche indicated that their evangelism is indeed simply showing the community they are loved and cared for through providing mainly food, but also other physical needs like clothing and toiletries. They began as an outreach to the community from their own church, building up a small pantry and a small group of volunteers. Today they work in tandem with the Greater Chicago Food Depository as part of that larger organization. In their region of Chicago they serve approximately 200 people a month with food and other services. The population they serve is mainly middle aged men. They have a volunteer team of about ten members, two of which are retired teachers, and one who works for FEMA. They try to develop good relationships with the people they serve to carry the love of Christ. They make sure they treat people with dignity, respect, and they try to make everyone feel comfortable. This is an area of evangelism that the Salvation Army is very good at. We do a great job serving people through the social gospel of meeting needs without discrimination. Indeed, simply by showing Christian love, people can come to realize that they need Jesus. In conclusion, there are many important evangelism outreaches in the Chicago area that serve through many unique methods. Evangelism is an absolutely vital aspect of Christian ministry that we should not reject or minimize as a Christian Salvation Army movement. As we increasingly see church numbers dropping and corps losing people, and Sunday school attendance dropping we’ll have to look to emphasize evangelism, going to people where they are to tell them about Jesus, providing tracts, Bibles, and meeting needs of those in the world. If we want the church to succeed in it’s mission of carrying the gospel to all nations and peoples, we’ll have to go and be Jesus in the community. King, J. (2017, November 24). Interview on Chicago Child Evangelism Fellowship [Telephone interview]. LaBranche, E. (2017, November 2). 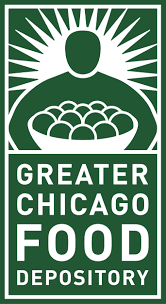 Interview on Greater Chicago Food Depository [Telephone interview]. Salt, R. (2017, October 28). Chicago for Jesus Interview [Personal interview].